Plan and Budget: Learn to make good financial decisions by analyzing long-term spending, researching and comparing costs, and planning for major purchases. This class is part of Google's Applied Digital Skills self-paced online courses, which are video tutorials with accompanying exercises. 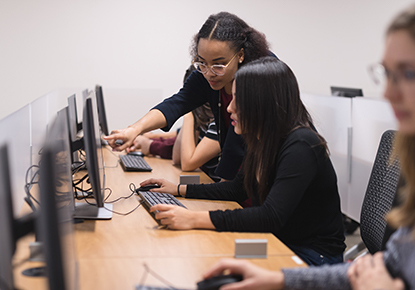 The Library will provide computers and headphones for students to take the "Develop a Budget" section of this online course, in which students use spreadsheets to develop a budget for spending and saving. Library events and programs are free and everyone is welcome. Registration is not required. To fully participate in class, students must have a working Gmail account.